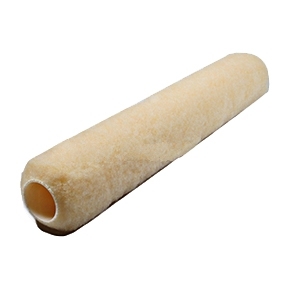 PRODUCT: 18" WIDE POLYESTER NAP ROLLER COVER, 3/4" NAP, SOLVENT RESISTANT CORE. FITS STANDARD 18" PAINT ROLLER FRAMES. PRICE/EACH.